Ever wondered how much money you can save on a brand-new vehicle, especially if you work for a car company? Well, there’s no need to wonder as Ford Philippines is giving you that special deal…and you don’t even have to be a Ford employee! 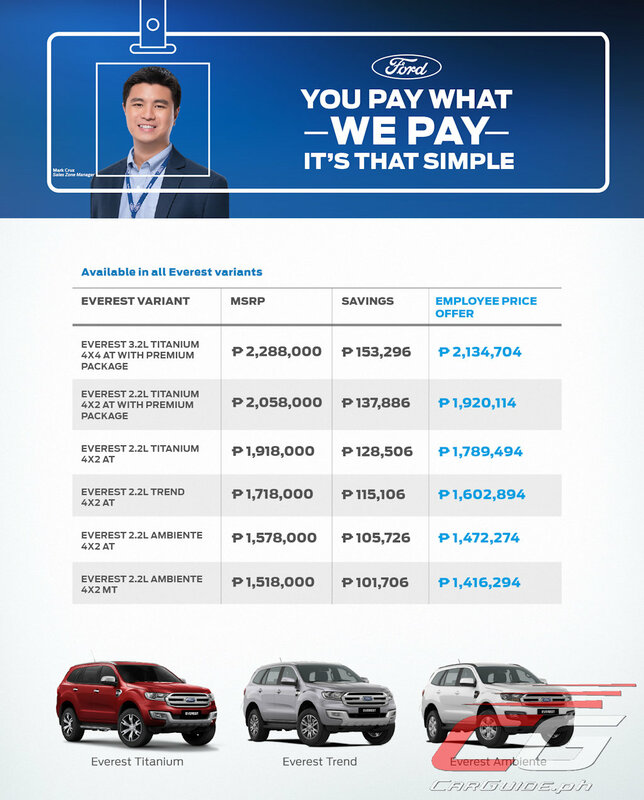 From October 1 to 31, 2018, Ford Philippines slashing the prices of its Everest down to employee pricing levels. It’s an industry-first scheme and it’s one that can save you as much as P 153,000 (you can check out the full details below). “The employee pricing offer is yet another groundbreaking innovation from Ford as we continue to expand ownership of Ford vehicles around the country by giving customers the best deals. 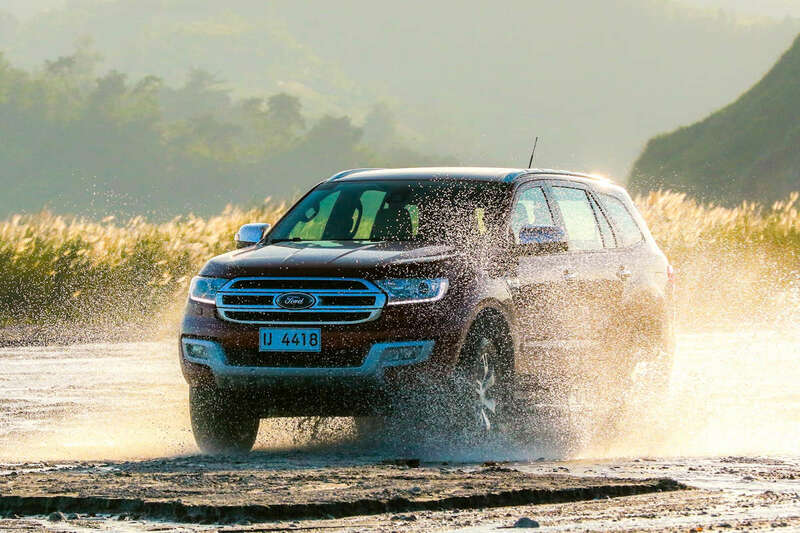 The Ford Everest is perfect for families looking for a safe, capable, and feature-packed SUV. Now is indeed the best time to purchase a Ford Everest at the best price–the employee price,” says Rodel Gallega, vice president, Marketing and Sales, Ford Philippines. Since its launch in the Philippines in 2014, the Everest has been one of Ford’s top-selling vehicles in the country with year-to-date sales of over 33,000 vehicles. The employee pricing offer is now available in all Ford dealerships nationwide and at all Ford Island Conquest test drive events. ^With such ploys as this, Ford PH thinks Pinoys will easily fall for it... aside from targeting increase in sales volume, they'd surely want to reduce inventory due to the upcoming refreshed model next year! Very sneaky Ford PH... very sneaky indeed! subaru is also doing it lol. Still more expensive than Pre-TRAIN prices. Get SSP to not get bill shock.